With WPMA happening next week, we are getting more and more excited for the events going on during it. 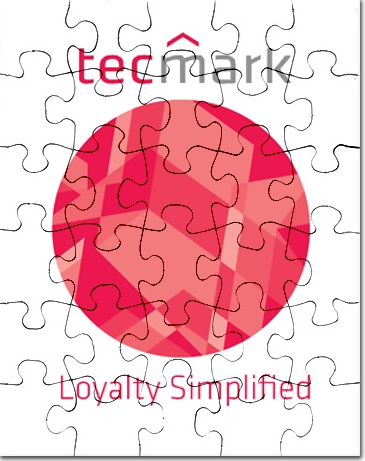 Tecmark is exhibiting at booth 128 and we are giving away tons of prizes! We sent out some puzzle pieces to several attendees. Whoever has the missing puzzle piece wins a Galaxy Tab 4. Stop by our booth to win a Selfie Stick, too. Here are five more big reasons why we can't wait for the Western Petroleum Marketers Association Conference. 1. You get to see the latest and greatest in the c-store industry. There is 90,000 square feet of tradeshow space with exhibitors displaying and selling the latest in technology, c-store innovations, and truck and trailer displays to meet the needs of the petroleum industry. 2. You get into the NATSO tradeshow free. NATSO Members and WPMA Marketer Members who register for one trade show automatically will be registered to attend the neighboring show at no additional cost. Learn more about the NATSO show here. 3. You get to network. It's always nice to talk to other people in your industry, make connections, and possibly help each other out. You can learn a lot from the people you meet in your industry at a tradeshow. Exchange business cards to ensure you can get in touch with the connections you make. 4. You get to learn from the experts. The speakers this year are knowledgeable in categories we have interest in. Specifically, we are excited to hear from Patrick Godfrey from Fog Technologies. He will be talking about how you can use your tablet for your business. We love anything dealing with technology! 5. Frank Caliendo. This really has nothing to do with c-stores but, let's face it, he's hilarious! He was on MadTV and his impressions of political and famous icons are incredible. We can't wait for him to make us laugh. You can view more information about WPMA here. Be sure to visit us at booth 128 next week! In the meantime, visit our blog for more C-Store loyalty tips. Tell us: Why are you excited for WPMA?